Marnick’s | Eat It, Damn It! I think my girlfriend likes Marnick’s so she can eat near the water. It’s located on the beach, complete with a patio and full bar. Maybe she just wants the occasional plain old diner. I was surprised to see their website. It displays a place far more ostentatious than reality. 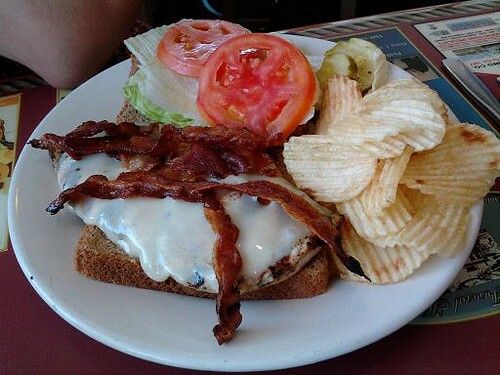 Marnick’s is really a diner at heart. My omelet was respectable: egg whites, mushrooms, and cheddar cheese ($9.45). 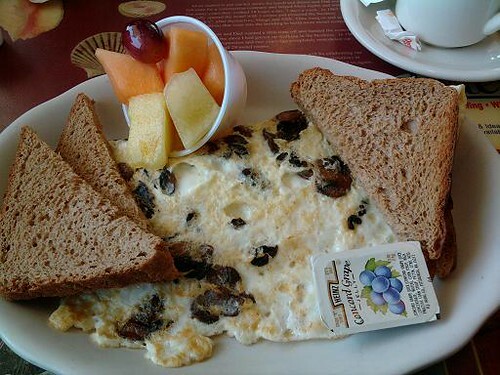 All omelets come with choice of toast and a side of home fries, french fries, hash browns or fruit salad. Generally, after a night of drinking I would definitely opt for one of the fried potato options, but I was stone sober. The fruit salad was just a little cup, but it was fresh, not from a can complete with heavy syrup. The omelet itself was respectable, but nothing to go crazy over. Perhaps some might find it striking that the cheddar was white instead of orange, but it didn’t make much difference in the flavor department. I didn’t try my girlfriend’s grilled chicken sandwich ($8.95), but she gave and a nod and a sigh at first bite, so I’ll assume she was pleased. Instead of fries, platters come with potato chips. I find that a little weak, but it appears to be par for the course once you start moving North. 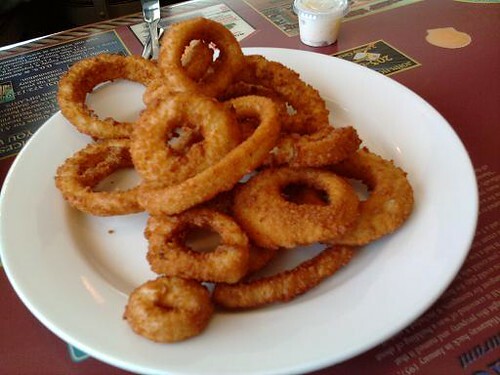 The onion rings ($3.75) were good. They were thick and well cooked. They were not especially greasy (as far as onions rings go). I would definitely recommend them for sharing. If you need a diner by the water, Marnick’s is a great option, but not someplace I would race to for special occasions.